Here we share our eBook FAQs. 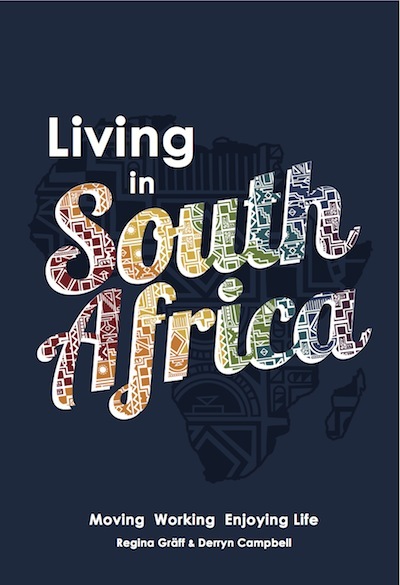 The 'Living in South Africa' eBook is available now in an updated 2015 digital version which includes an amended immigration section and some newer statistical data. The book content is the same as in the print book equally well presented with lots of images, statistics and graphics. Read through the eBook FAQs and purchase the digital version of this popular print book via a secure link and start preparing for your new life in South Africa right away. On this page you will find answers and useful tips in regards to downloading our digital book. Which format does your eBook come in? 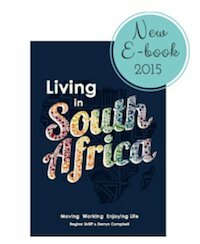 The ‘Living in South Africa’ eBook is currently available in two formats: Adobe pdf and epub. Both versions can be ordered through us directly or through various online booksellers. The pdf and pub versions can be ordered via e-junkie. Which devices can I use for reading the book? The current eBook versions can be read on your computer or convenitently on a variety of electronic devices such as eReaderes, iPads, smartphones such as iPhones or Android phones, laptops or any device with a PDF reader. So you can take these files with you whenever you travel or move. Ebook FAQs: What is the size of the download file? How can I use the digital books? PDF readers such as the free Adobe reader are easy to download for home computers and handheld devices. Downloads will be effected after payment is received by e-junkie and you will immediately gain access to the pdf ebook file. You can also download the free Calibre platform which helps to convert your book for reading on a wide variety of electronic devices from Apple’s ipad to Amazon’s Kindle and handheld devices. How can I download the ‘Living in South Africa’ guide? You can download the file right after your purchase with a maximum of five downloads for your own personal use which will enable you to open the book on your various electronic devises, say one download on your PC, one download on your table and another one of your phone and still have two more downloads for your household or in case you have trouble accessing the download due to an unexpected technical error or computer crash on your side. Can I send the eBook I purchased to my mates and share the info with them? No, our digital book is protected by copyright as is the printed version. Sharing the files to family and friends is illegal. If you enjoy the book please share the news about our book with your friends and let them know how they can support us. Writing and researching took a long time so please do not abuse the system. The authors own all rights to the content of the digital ebook as well as the print book and not part may be copied, stored or transmitted in any form by any means without the written permission by the authors. Can I order bulk copies of the eBook and can I get a discount for ordering several digital books? Should you want to spread the word with your colleagues, partners or customers, please contact us, as we can offer you attractive discounts should you want to order more than 10 eBook downloads. Please contact us here. Is the info in the digital book different to the printed book? The contents are identical to the printed book with minor improvements and updates. Enhancements for electronic reading have been added for the readers convenience such as website hyperlinks. Updates have been made to the information due to recent immigration and taxation changes. The book can be downloaded up to five times for personal and non-commercial purposes. Commercial use or forwarding to your friends, clients or customers is illegal. Please contact the publisher should you have any queries regarding commercial use and linking. The authors own all intellectual property rights to the digital version of the book. All information provided in the book is accurate and up-to-date. However we cannot make guarantees and can not made responsible for any loss, liability, damage, cost or expense suffered in connection with using the content. Get your Living in South Africa eBook now! Benefit from our experiences of moving to and living in South Africa.